Tax tabs are more and more a standard part of a corporate clothing offering. Tax tabs are a small tag which can carry your logo and are sewn into your corporate clothing as a subtle form of branding where large embroideries or prints would look out of place. Aside from actually providing a form of branding, tax tabs will also assist in negating tax implications for your business and your staff. Tax tabs are more and more a standard part of a corporate clothing offering. Tax tabs are a small tag which can carry your logo and are sewn into your corporate clothing as a subtle form of branding where large embroideries or prints would look out of place. Aside from actually providing a form if branding tax tabs will also assist in negating tax implications for your business and your staff. A tax tab can be made to any design, whether it is your company logo, company colours or just the initials of your company. They are a discreet way of promoting your company as opposed to a logo shown clearly on your uniform. Tax tabs provide a way to get around the personal tax aspect of staff clothing or uniform. Many organisations are not aware that HMRC enforce a tax on items of clothing that are issued free to staff and don’t carry any branding. They consider this a ‘fringe benefit’ to the member of staff as it could be worn outside of work. 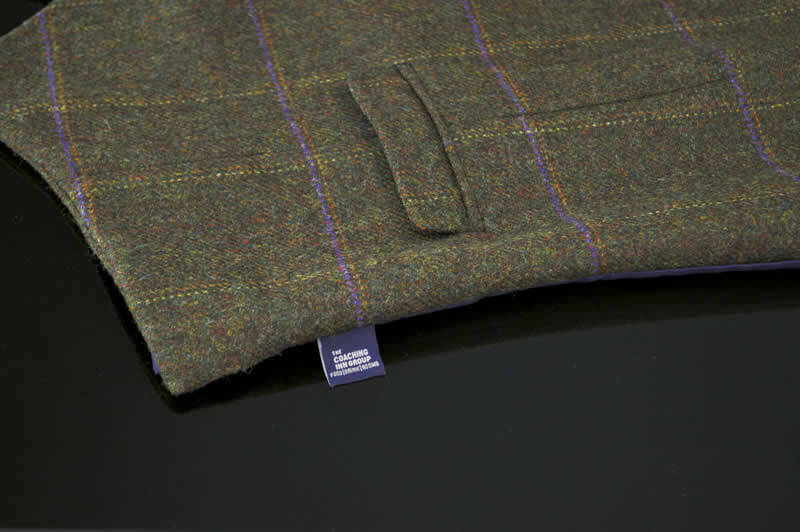 By applying a tax tab, this distinguishes the garment as a uniform as opposed to leisurewear. This can be avoided by making sure that the garments you issue to your staff include a tax tab so that they are branded and carry a permanent logo. Simply send a copy of your logo or a note of your idea for the image to be included on the tax tab including what background colour you would like the tax tab to be. Once we have received this information we shall provide you with a quotation based upon your requirement and also some approval artwork free of charge. There are no charges until we actually start to produce your tax tab. From the point of approval of artwork and ordering your tax tabs the production time is approximately 3 weeks. Once we have produced your tax tabs we will keep them in stock for you and attach them to your garments as and when you order and we will keep you up to date with stock levels so you don’t need to worry about tax tabs again. Once we have arranged the first batch for you we will take care of the rest. If you would like additional information on our tax tabbed corporate wear or to see samples of our previous work for reference call us on 0161 223 2226 or if you would prefer then you can just send your logo and requirements through to us via our email sales@corprotex.co.uk and we will get a quote and artwork raised for you.